Click on the penguin's hand to find the Wrist wrap which is 50 coins. Click on the penguin's necklace to find the O'berry Necklace which is 100 coins. 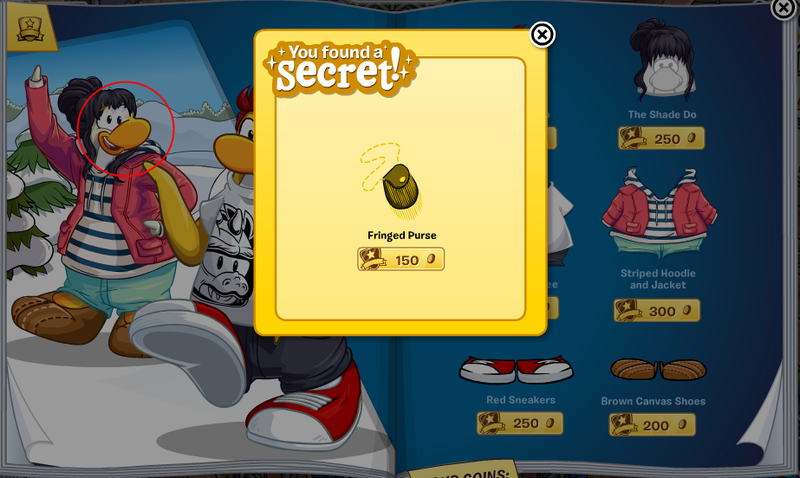 Click on the penguin's beak to find the Fringed Purse which is 150 coins. 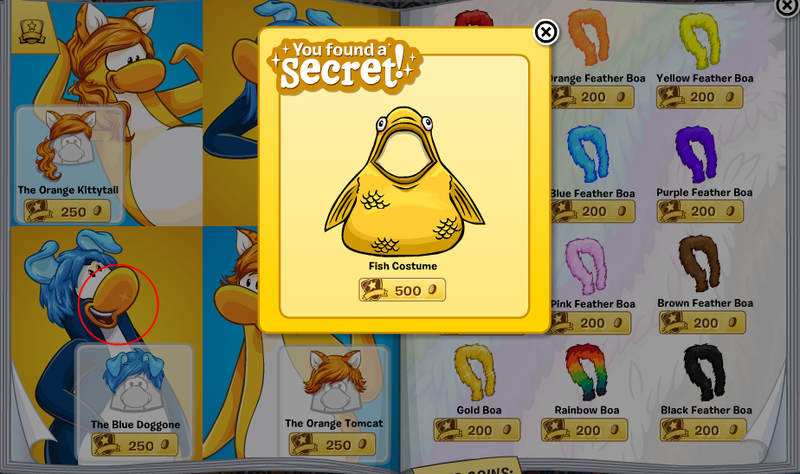 Click on the penguin's beak to find the Fish Costume which is 500 coins. 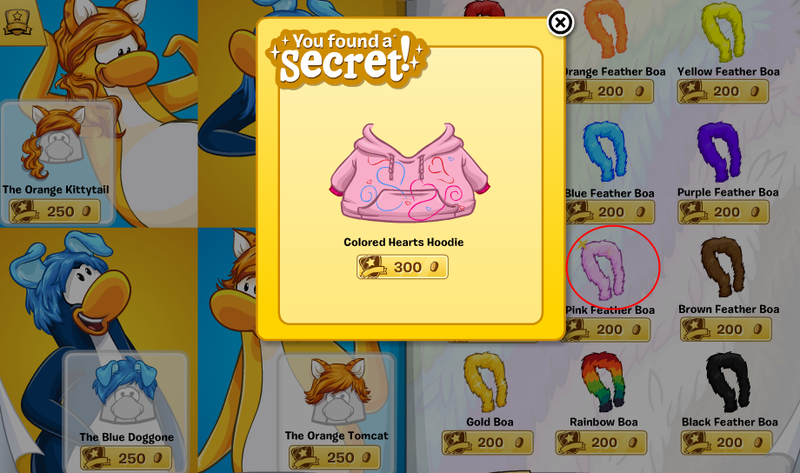 Click on the Pink Feather Boa to find the Colored Hearts Hoodie which is 300 coins. 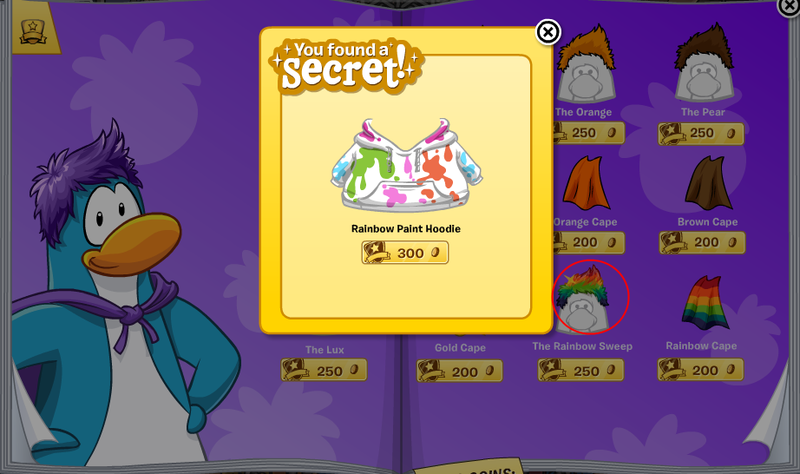 Click on the Rainbow Sweep's hairstyle to find the Rainbow Paint Hoodie which is 300 coins. 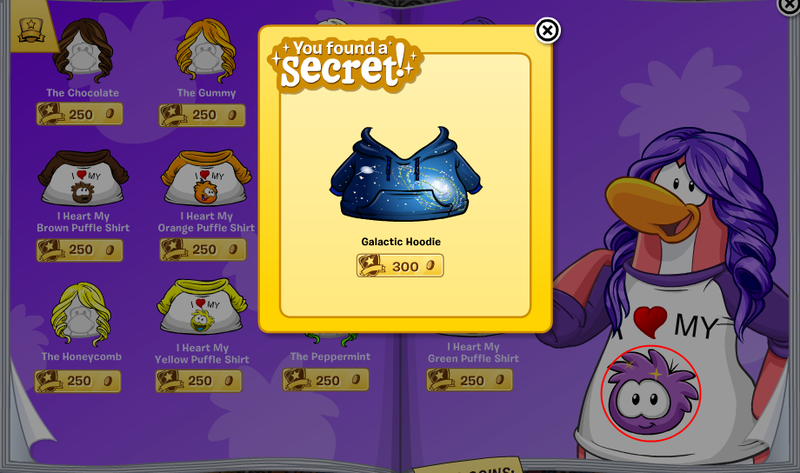 Last but not least, click on the penguin's shirt to find the Galatic Hoodie for the price of 300 coins. I really like this month's catalog! It features a lot of new items and contains some rare items such as the boas! Do you like this month's catalog? Leave your comments below!